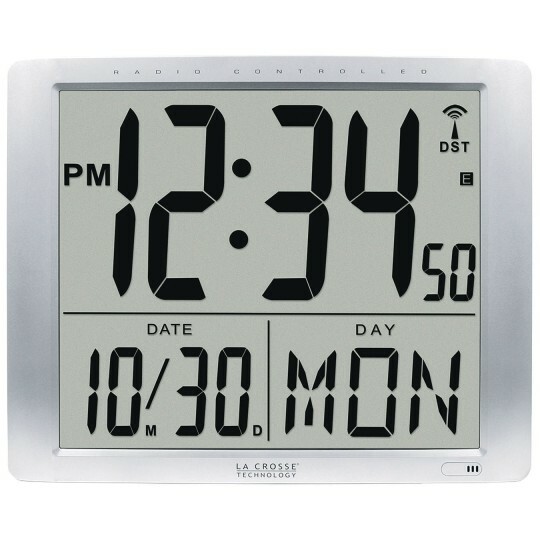 La Crosse Technology’s® Atomic Digital Wall Clock features large, easy to read 7”H time display digits and 3-1/4”H calendar display: Month, Date, Day. 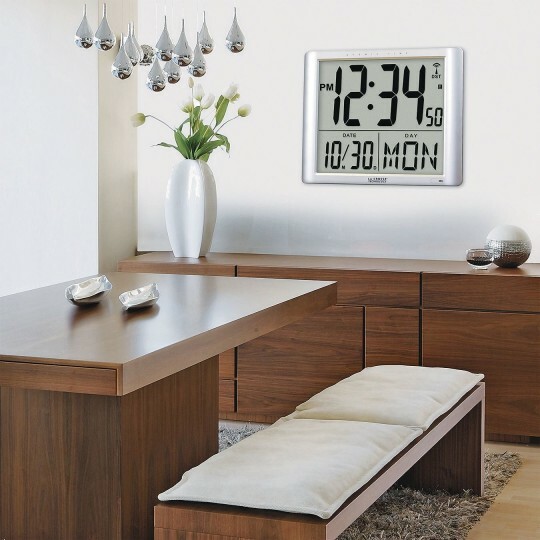 Atomic time and date with manual set option automatically updates for Daylight Saving Time (with on/off option). 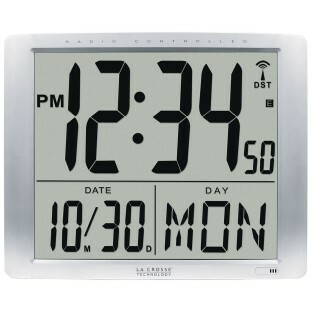 12/24-hour time selectable with four time zones: Eastern, Central, Mountain and Pacific. Time alarm with snooze. Can hang on the wall (preformed hanger included on back) or use with the included table stand. Requires 3 “C” battery (not included). Overall measurements 15.35”H x 1.57”W x 19”L.